Analog Son brought their funky brand of blues to Blues From The Top in 2017. They return to Winter Park on Fat Tuesday, March 5th to lead the Mardi Gras celebration at Ullrs Tavern. Free Admission for Grand County Blues Society Members (1 Free Admission per Member). Why Join? Grand County Blues Society is a 501c3 non-profit organization. Direct contributions are tax deductible. Your contributions are what keep programs like Blues In the Schools and Blue Star Connection afloat. 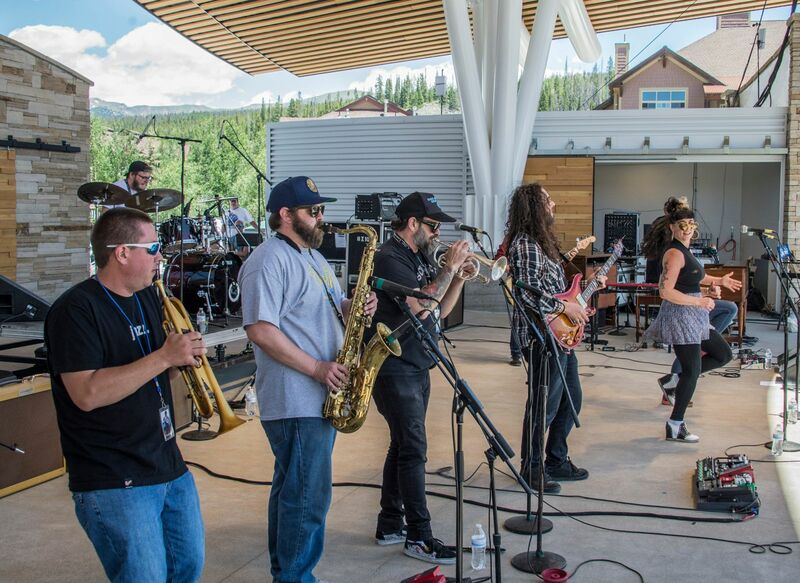 Membership also helps to bring national touring bands to Winter Park. Recent local shows include Mike Zito, Chris Duarte, Heather Gillis, Southern Avenue, Curtis Salgado, Dustin Pittsley Band, and so many others. Our annual Blues From The Top festival has brought Kenny Wayne Shepherd, North Mississippi All-Stars, Anders Osborne, The Fabulous Thunderbirds and more. Most memberships include ticket(s) to Blues From The Top! We take great pride in bringing incredible talent to the mountains, and it could never happen without the help of our members, sponsors, and music fans who come out to the shows!